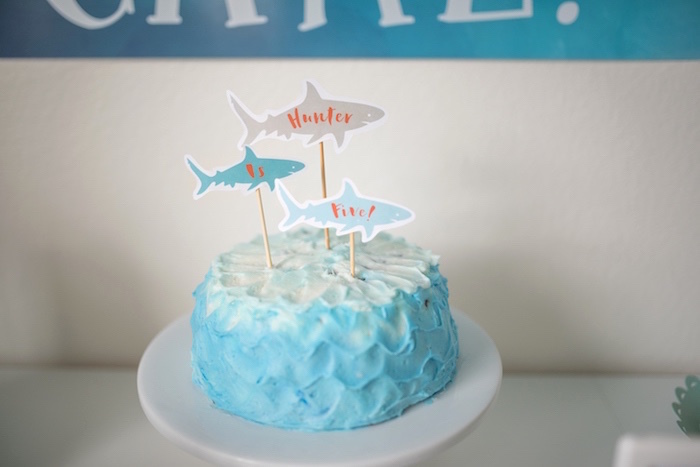 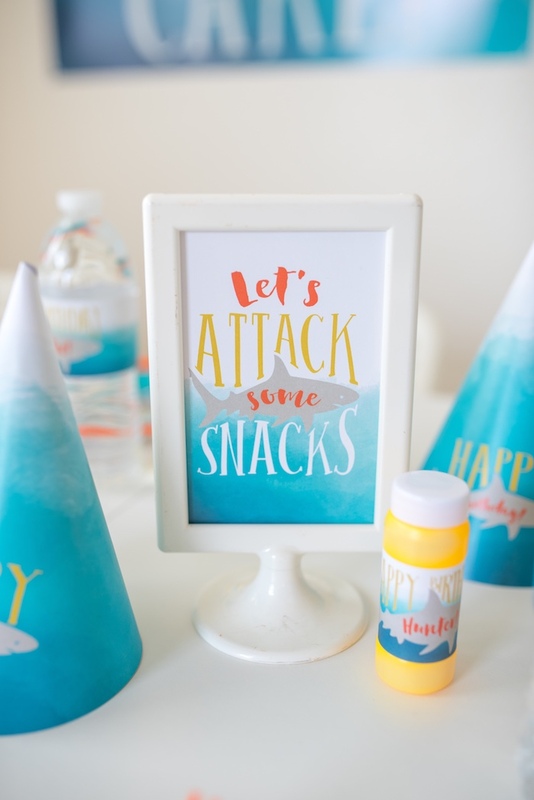 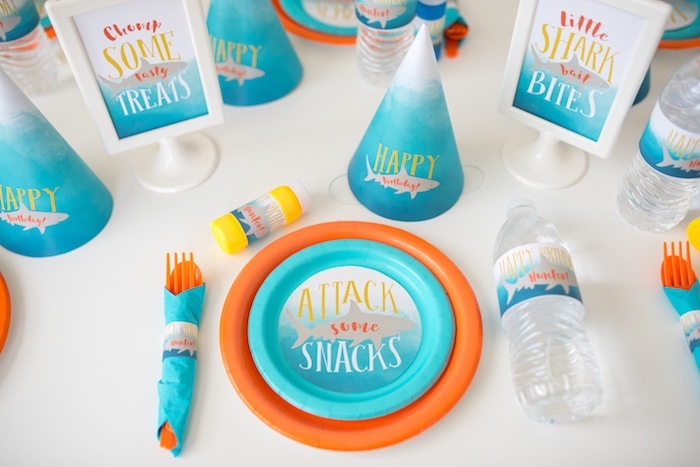 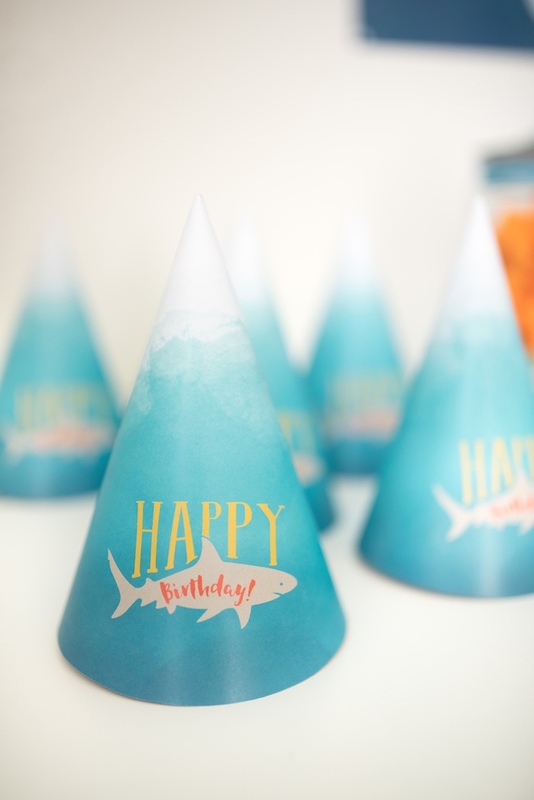 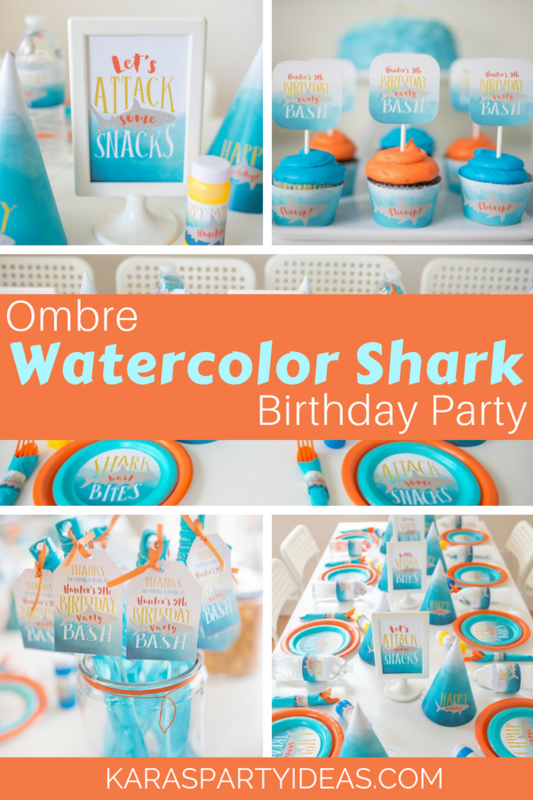 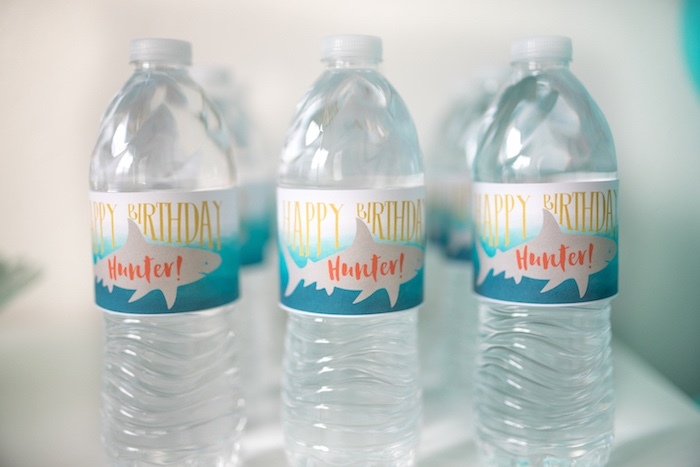 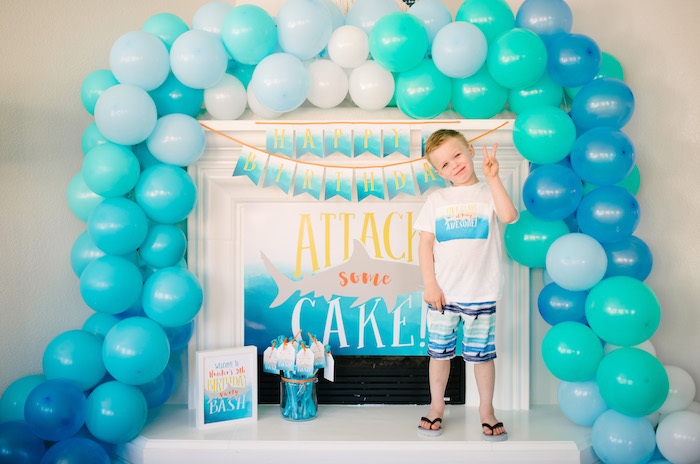 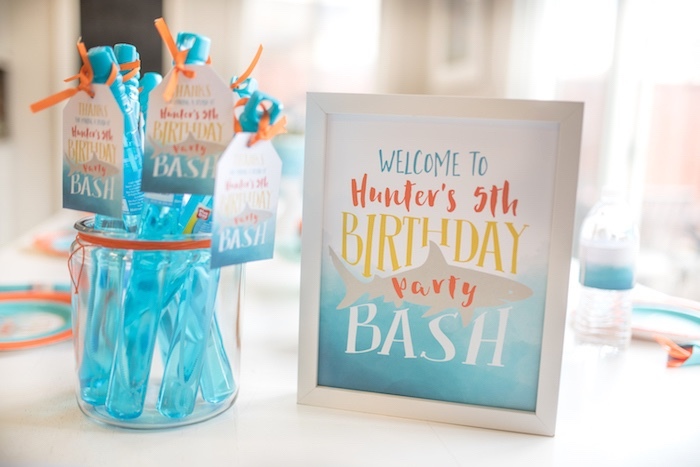 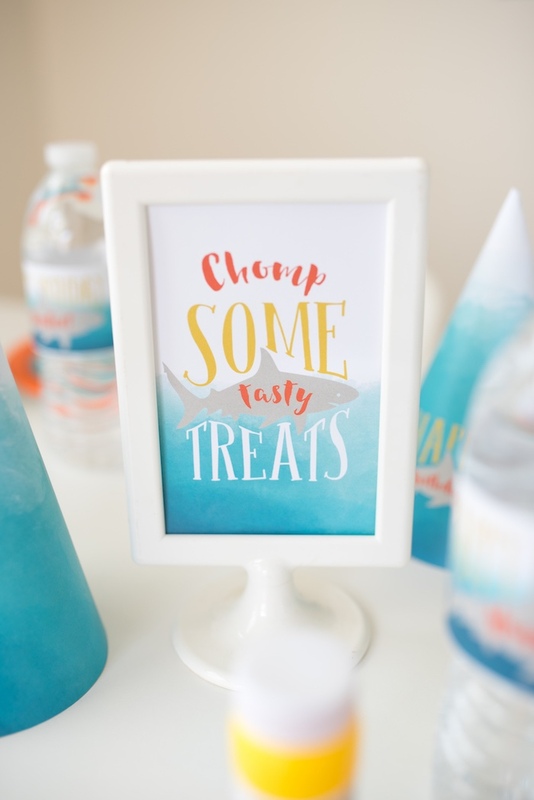 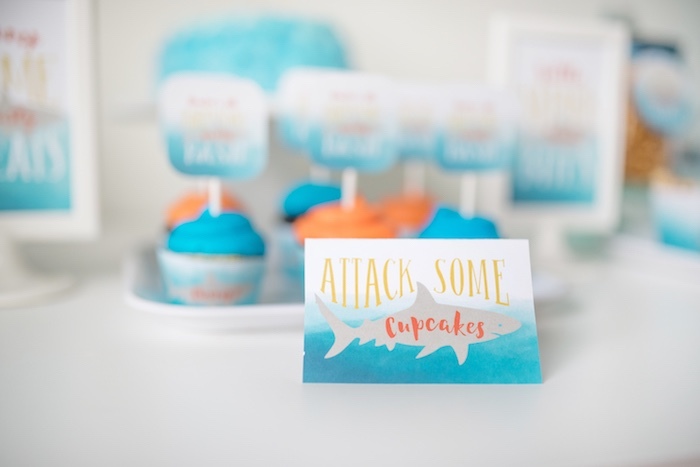 Sneak around and be on the attack, this Ombre Watercolor Shark Birthday Party has got your back! 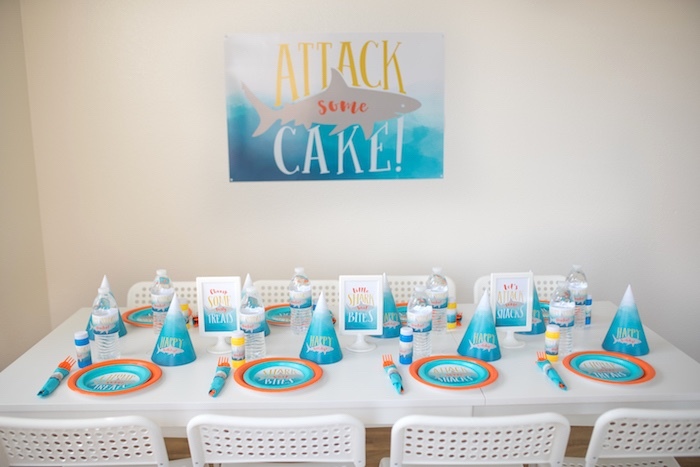 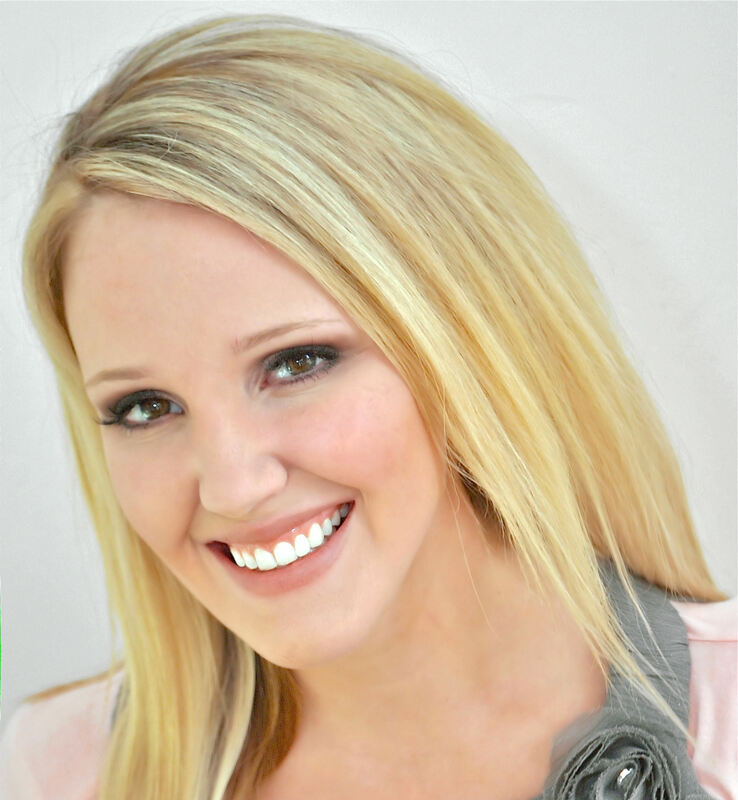 Styled by Shana McGavock of Article Print; this scary endeavor is swimming with party details, you have to dive in and see! 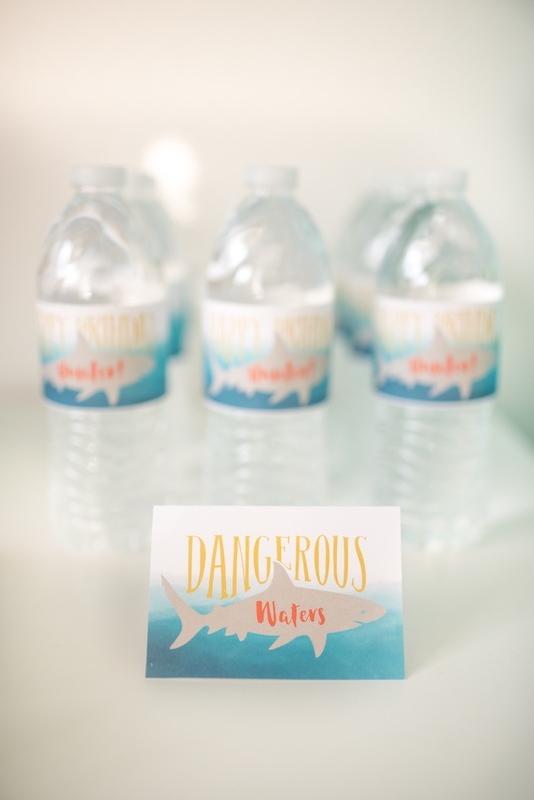 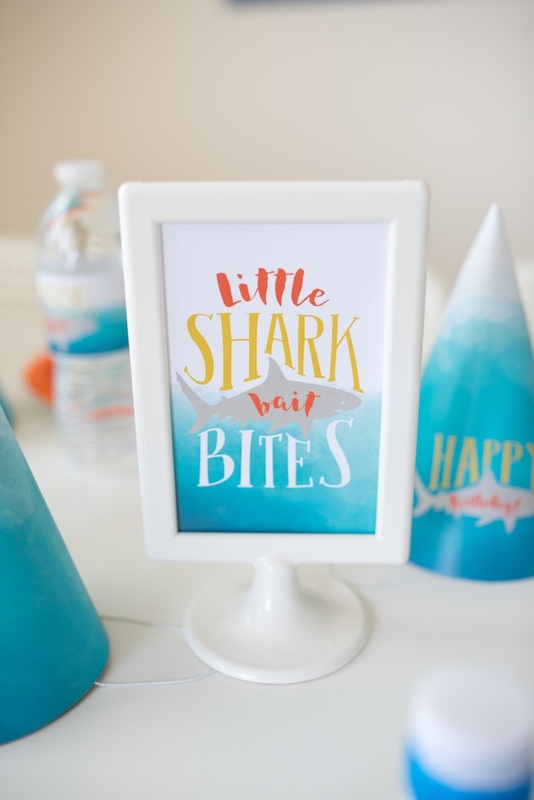 And adorable Shark Party Signage! 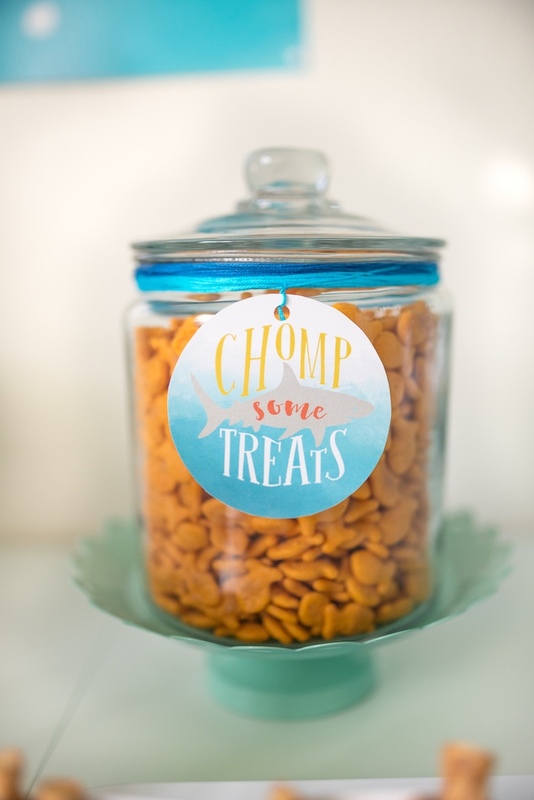 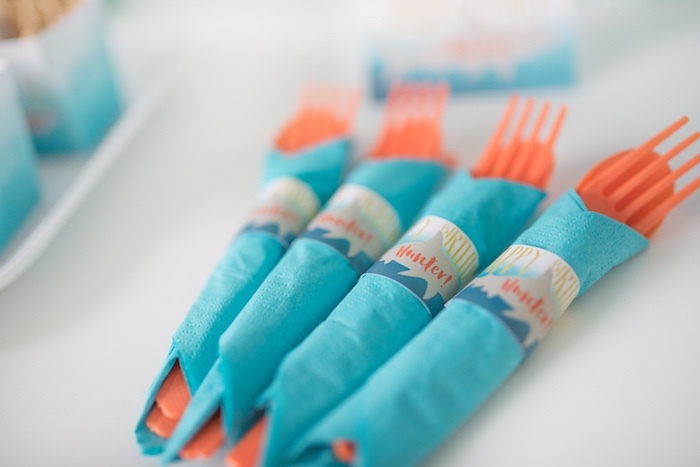 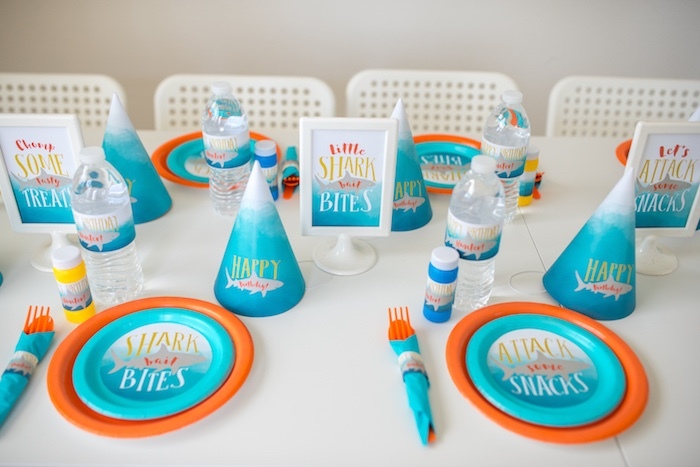 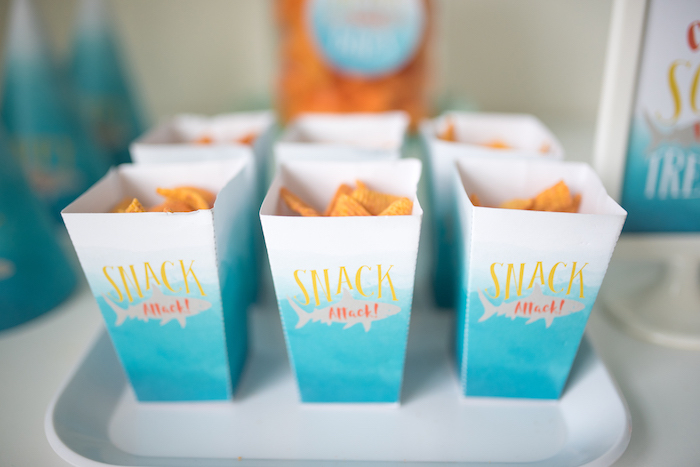 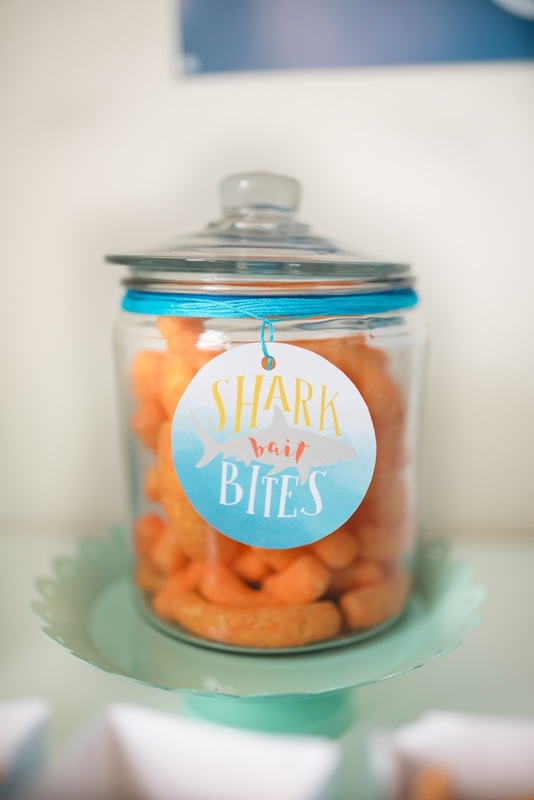 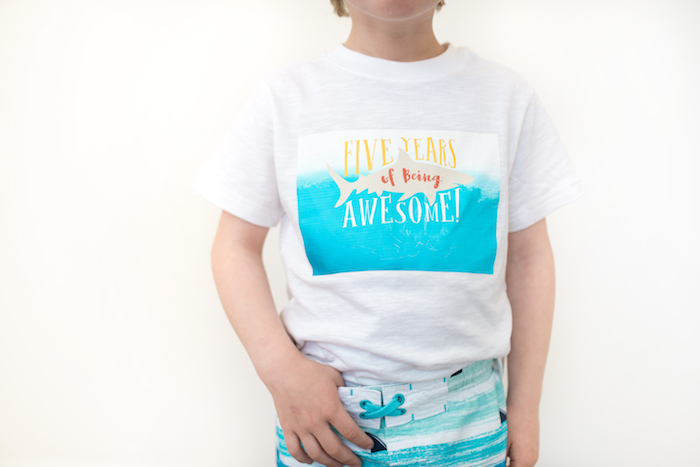 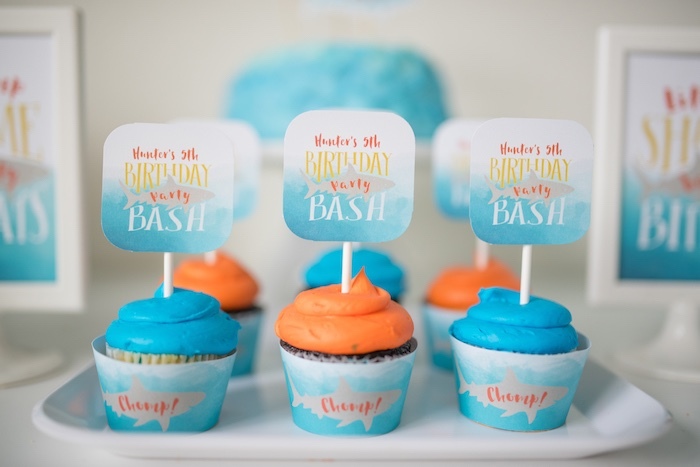 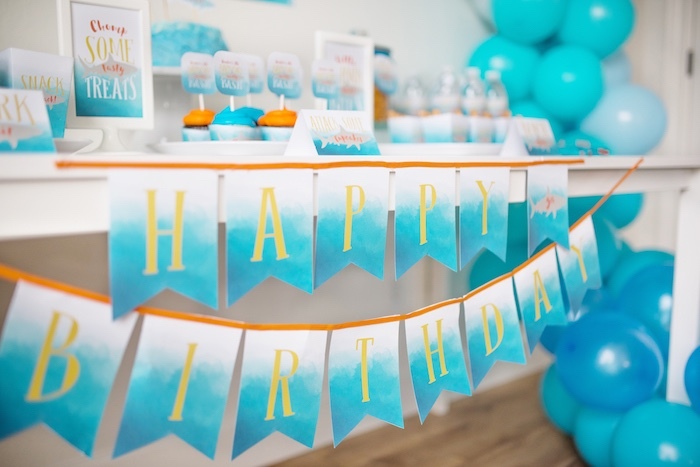 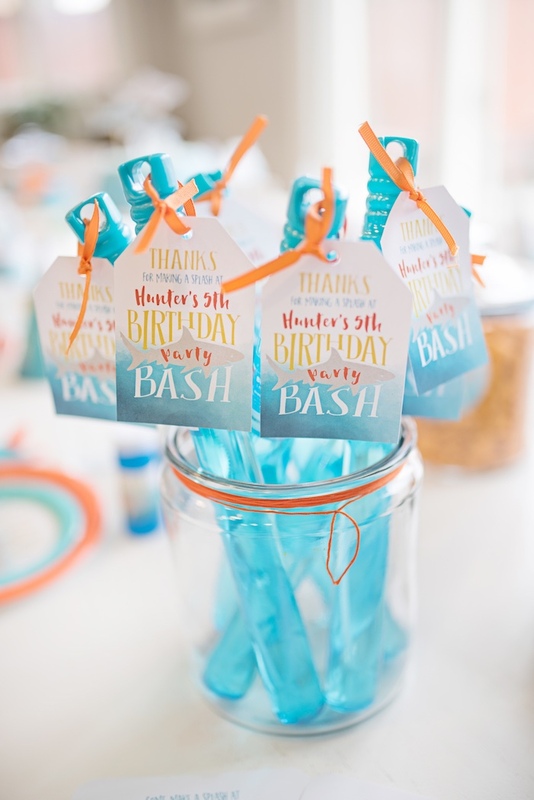 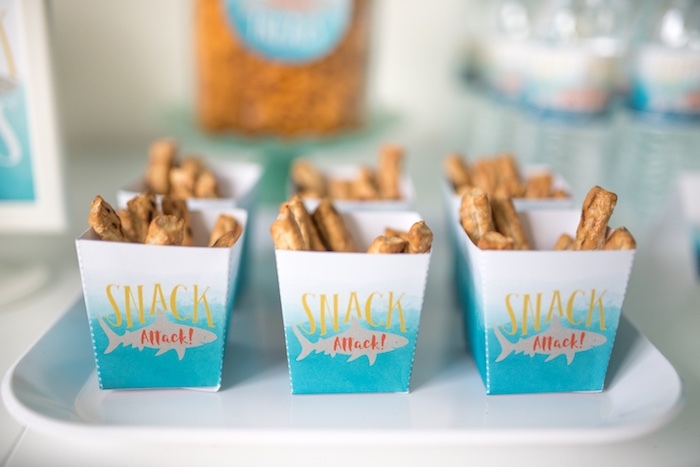 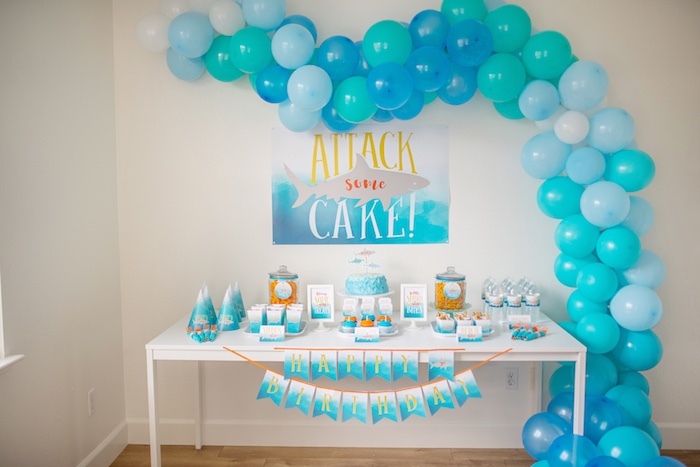 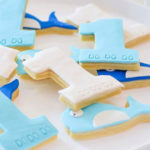 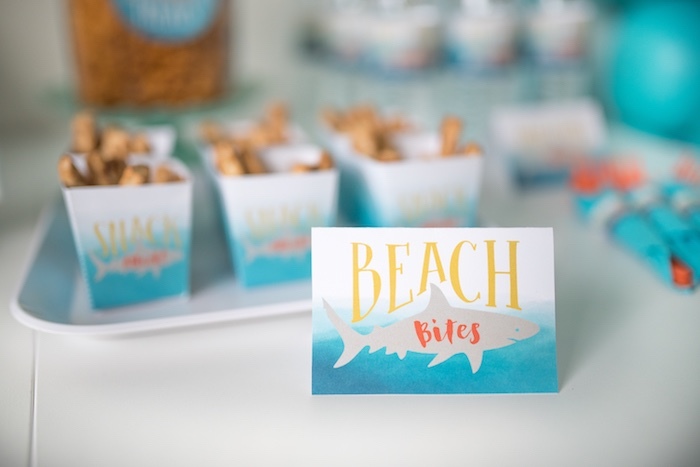 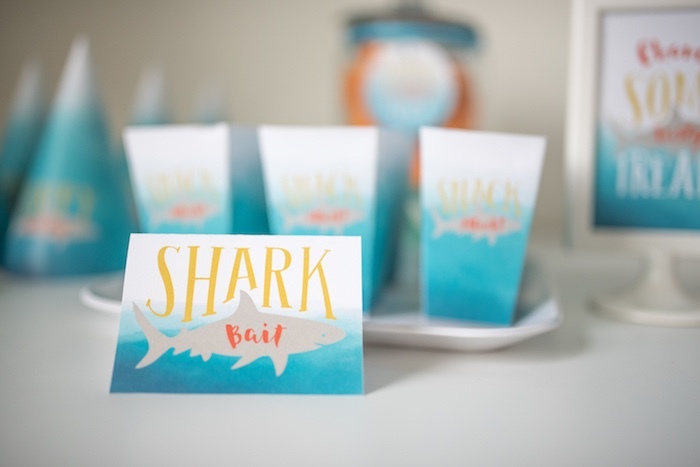 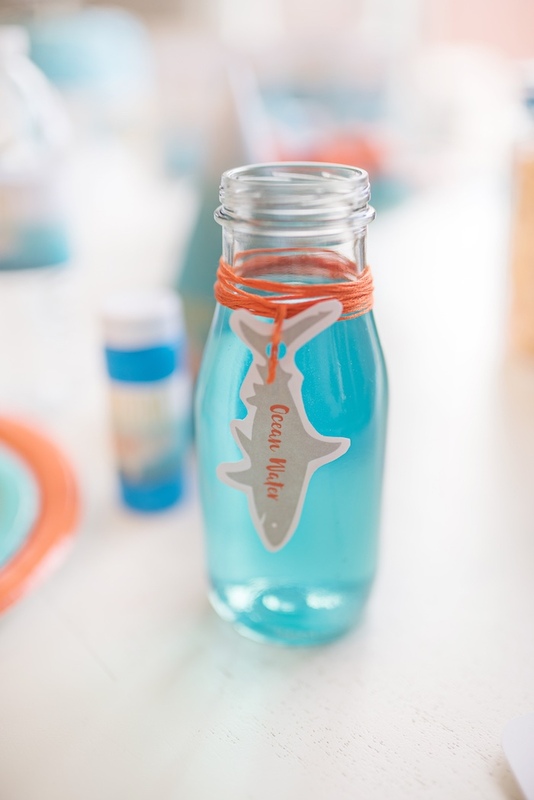 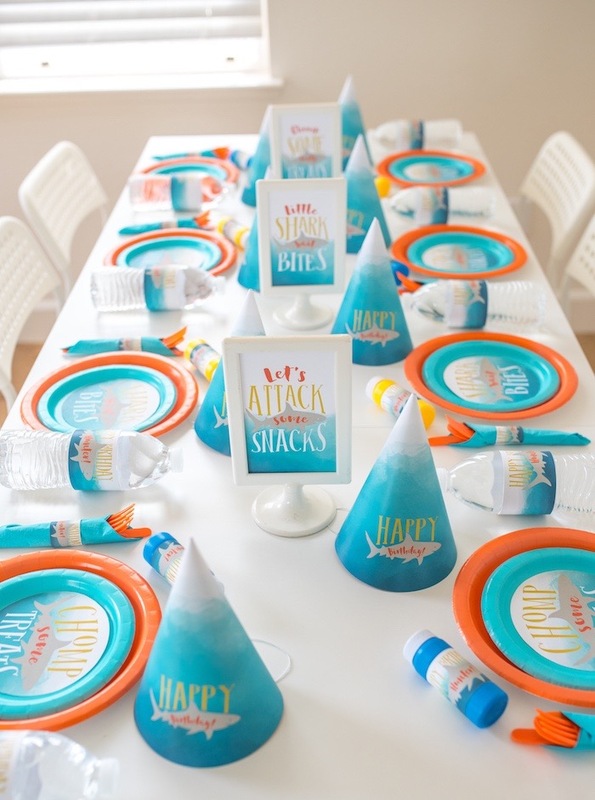 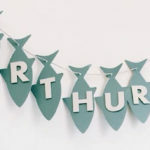 See all of our shark party ideas here!